Having issues with Office 365 Transport Rules when creating email signatures? Do you want control over corporate email signatures for Office 365 users? Solve these problems with dedicated email signature software. With Exclaimer Signature Manager Office 365 Edition, you can manage all Office 365 email signatures for your business from one place. You can create and deploy email signatures that contain professional branding, social media links, marketing promotions and appropriate legal disclaimers. IT administrators are familiar with having to visit every user’s PC when it comes to carrying out email signature updates. This is often an arduous and repetitive task. With the use of Exclaimer Signature Manager Office 365 Edition, an administrator can design an email signature via one central console and then send an update to everyone with one click. The software also has no requirement for additional addons and no local installs are necessary. With Exclaimer Signature Manager Office 365 Edition, email signatures can be previewed based on specific user data in Office 365 Directory or Active Directory. Signature fields are completed using Office 365 Directory or AD data and the software’s robust rule tester reviews all email signatures thoroughly before they are deployed. To make it even easier, the software comes with a ‘Policy Tester’ that provides a graphical representation of who is to get each signature and what content is to be applied to each email. 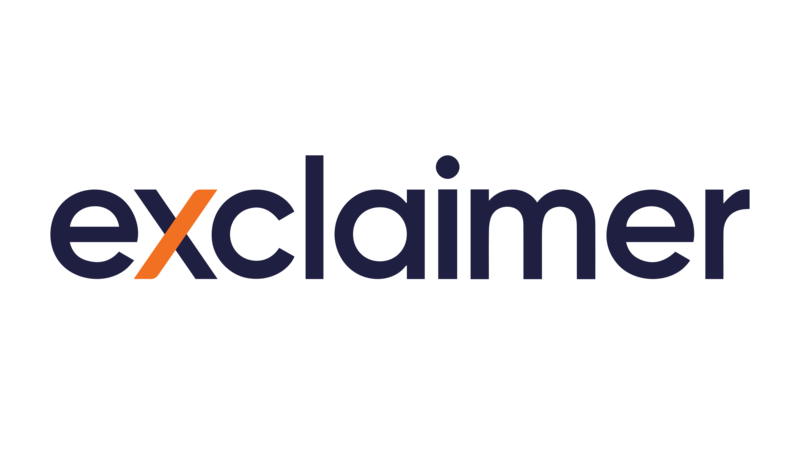 Exclaimer Signature Manager Office 365 Edition can utilize the email signature medium for marketing activities such as event promotions and limited time special offers. All an IT administrator has do is set up date-based rules for adding a promotional banner that will appear in an organization’s email signature, which will be automatically removed/updated when the activity has been completed. In Office 365, images like social media icons cannot be embedded in an email signature. Office 365 simply cannot recognize images as separate elements, so every recipient will see all email signature images as attachments. Exclaimer Signature Manager Office 365 Edition allows for the inclusion of a ‘social media strip’ in an email signature. This is a customizable strip of interactive social media buttons, with icons such as a Twitter ‘Follow’, a Google+ ‘+1’ or a Facebook ‘Share’ button. It even allows for up-to-date social media content to be displayed such as a Tweet or blog post. Exclaimer Signature Manager Office 365 Edition provides the ability to easily add a variety of email signatures for different mail formats, whether it is HTML, RTF or plain text. In addition, the software lets IT administrators deploy various signatures to users with diverse template designs, legal disclaimers, promotional marketing messages and more. Office 365 is not equipped with an HTML editor, meaning HTML email signature templates have to be imported from other sources. The program also does not let you embed images like logos, social media buttons or web banners. Exclaimer Signature Manager Office 365 Edition comes with a powerful HTML editor, so email signature templates with imagery and dynamic content can be designed with ease. Exclaimer Signature Manager Office 365 Edition lets users choose email signatures depending on their circumstances and saving replies as Office 365’s default reply signature. For further email signature adjustments, they can even manually select the right signature from the Office 365 drop-down menu. Users also have some control over the format and font of their email signatures and the software does not need an organization to have a Microsoft Exchange server. Office 365 is unable to detect if an email signature is already included within any message sent to a recipient. This often leads to email conversations getting flooded with signatures with each reply. Exclaimer Signature Manager Office 365 Edition can be setup to add a detailed email signature to the first email that is sent to a recipient. Further replies can incorporate a simpler signature design so as not to overpower email chains with duplicated content.